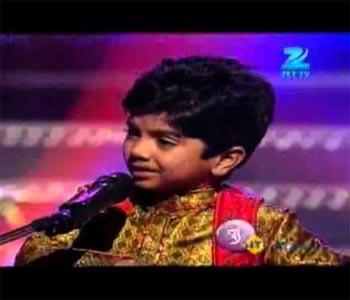 Hussain has always been a favourite of the show's judges and mentors - Kailash Kher, Adnan Sami and Javed Ali, apart from mahaguru Alka Yagnik. He even won many actors' hearts with his cuteness, innocence and flawless renditions. Shah Rukh, who danced and interacted with the audience during the show, made the victory extra special for the youngster as he picked him up on his shoulders and did a little jig. The over three-hour long show was attended by thousands in Surat, Gujarat, where the Navratri festivities are currently in full swing.